Fast multiplying Hens and Chicks that is covered in white fur. 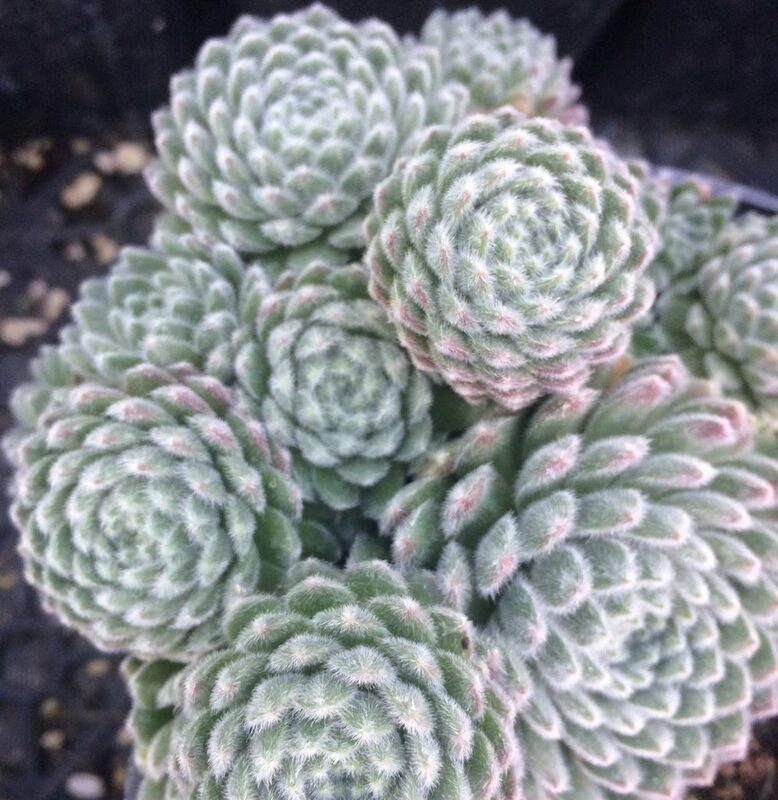 The silvery white fur covers new foliage in the center that is aqua changing to pink on the external rosette. In spring to autumn it can produce 5″ spikes of pink flowers. The rosette where the flower spike originates then dies but there are so many offsets you barely notice. Excellent in containers, rock walls, as a small scale ground cover. Good appearance in winter. Rich to average soil with regular summer irrigation to speed growth. Otherwise very tolerant of dry conditions – the rosettes shrink a bit in this phase. Sempervivums LOVE fertilizer. Enrich the soil with all purpose organic fertilizer before you plant and enjoy much LARGER plants. Rosettes to 3″ across.